When we imagine what a great mother might be, we can reminisce about a mother who has a hot meal straight out of the oven ready to place on a decked-out dinner table and kissing daddy as he walks in the door. The children are happy and mom looks great! Wait - stop… this is the twenty first century. Being a Supermom has nothing to do with appearing to have it all together nor appearing to have it all. In fact what makes a mother a really exceptional supermom is one little four letter word - love. It is the love that a mother gives her children that actually make her Supermom. It’s not gifts, it’s not giving into every desire. It’s not buying something every time a child asks or buying things instead of spending quality time. 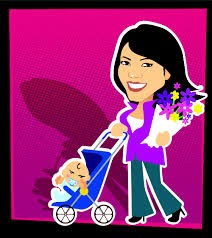 Supermom is not rushing darling daughter and son off to too many activities and keeping the schedule crammed-packed. Rather, Supermothering is knowing when enough is enough. It is knowing that children need your emotional availability more than anything your money can buy. It’s simply playing with your children and being truly present and interested in their lives. Good mothering is accepting and loving your children no matter what. It is serving as an example for ethical and caring behavior and also maintaining a balance and knowing when mommy too needs time for herself. Good mothering is providing a safe haven where children can express their feelings and feel validated, even when they’re angry or afraid. These are the characteristics of good mothering. It doesn’t take money to be a Supermom, it does not take material things. Nor does it mean you are perfect. It does not mean the world is without faults. Being a Supermom simply means that you connect with your child, that you love unconditionally and that you listen, something any mother can pretty easily do. Adults who feel they have been mothered well look back fondly on the time they spent with their own Supermom. They remember her smile, her love, her interest in their life. They don’t remember the days, they remember the moments. They remember all the things that money can never buy. It’s time to stop thinking everyone else is SuperMom, but never you. 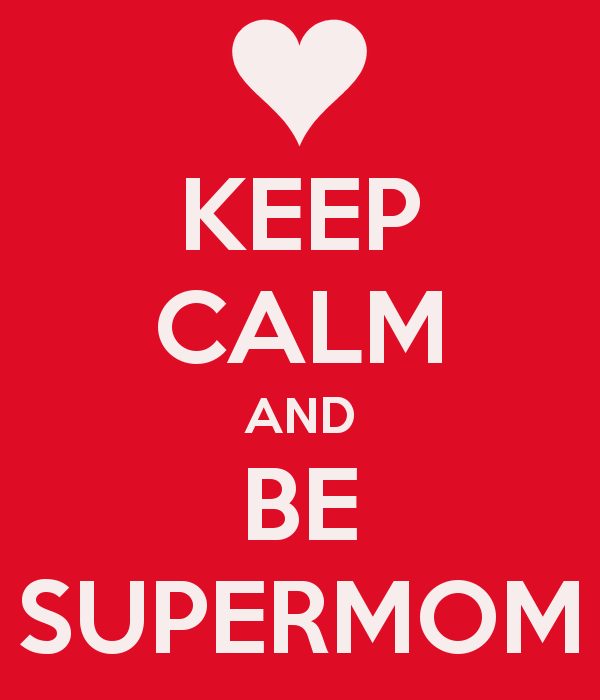 Supermom does exist, only not in the form you might have thought. We are all human and we all are doing the best we can. It’s ok that our kids see we are vulnerable; it’s OK if some days we are less than Super. It’s ok that we make mistakes and that we don’t have all the answers and that sometimes we get caught up in the emotion and yell. The important thing is that our children see we are authentic loving beings and that we are able to ask for forgiveness when we’re wrong. If you get angry, talk about it. Explain yourself, and say you’re sorry when you make a mistake. Embody all of what you would ask of your child. Work on your shortcomings, we all have them, even Supermoms like us. One final word to those who would think that being a Supermom means giving into to even whim of a child. It certainly does not mean that. If the whim is in love and kindness, so be it. But children are growing too and also show very real signs of our own humaness - in its weakness and ego. It’s your job as a Supermom to show your child the correct path, which is the path of a happy, grateful heart filled with love and compassion for others. A child demanding something or trying to control you or others is not the time when you should be giving in - that would be misdirected love. Love in this instant would be refusing to give into a selfish demand because it is not truly good for your child or others. 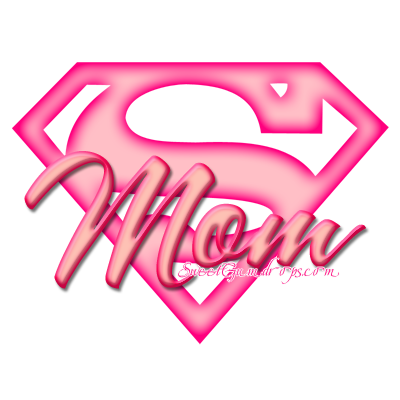 Being a Supermom means consciously working at being the best person you can be, not only for your children’s benefit, but truly for your own. Children seem to be able to bring out the worst in us and they certainly also bring out our best. They can help us aspire to be and do things that we might not have the inner strength to otherwise do. Children inspire us to be the true Supermoms in the real sense of the term, armed with unconditional love and ready to give of ourselves - just the way we were born to be. *Mellisa Dormoy is the founder of ShambalaKids Relaxation CD’s for kids and teens. Mellisa specializes in guided imagery and children and teen’s self-esteem. bukan senang nak jd supermom ni farah ! 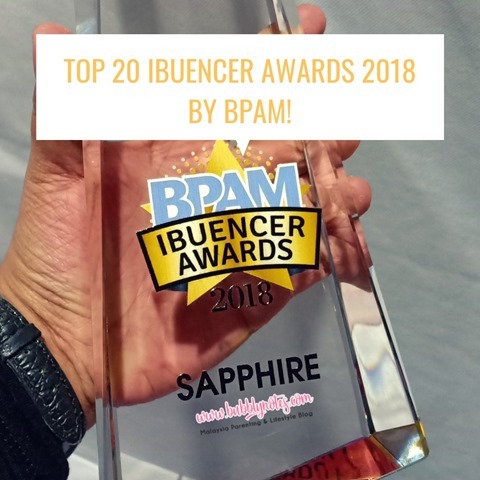 yess memang kena jadi super mom kak..
ape boleh buat..penat lelah sumer tu hilang bila tengok anak..
kekadang ada jugak time tensi pon..tipu la kalo takde..
pasti ada time kita tensi tapi cara mengawal emosi tu penting kan zee? supermom tak berkeluh kesah dan tak mengadu domba sana sini kan kak long? sorry dear lama tak menyinggah sini. It's never easy to be a supermom. But we are born to be one. Starting anak dalam perut sehinggalah dah besar panjang, that supermom-skill developed inside us and makes us stronger day by day. 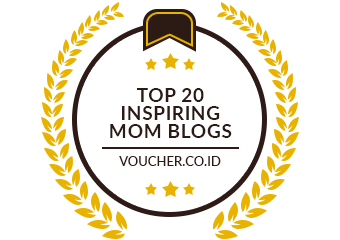 Proud and blessed to be in the motherhood :). suppermom is a great and awesome woman..